It seems these days that artisan products are popping up everywhere. There’s a trend of going back to handcrafted, unique items. 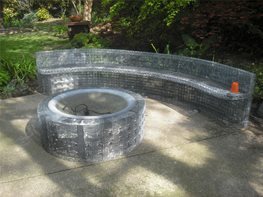 Eldorado Outdoor recognized this desire and is now offering Artisan Fire Bowls made of glass-fiber reinforced concrete. Smartphones have become essential to many people because they are multi-functional. You can talk, text, email, surf the web, take photos, play games and listen to music all with one device. 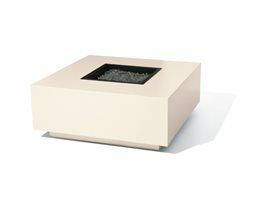 Groovebox Modern Furniture proves that this same concept of multi-functionality can be applied to outdoor furniture. Come January 1st, everyone seems to be concerned with weight. People everywhere change their eating habits and start hitting the gym. 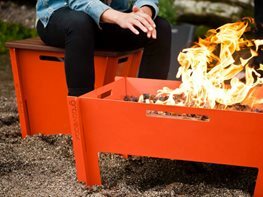 But it’s not likely that you’ve thought about the weight of your backyard fire pit. 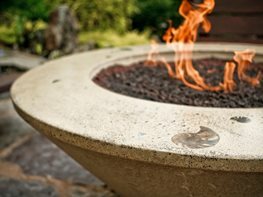 Luckily, Architectural Pottery has made a resolution on your behalf to create fire features that are lightweight, durable and attractive. A trip to the grocery store reveals many products attempting to be what they are not: turkey bacon, chicken-less chicken, sugar substitutes, soy milk and the list goes on and on. If you’ve tried them, you know that many of these imitations do not even come close to the real deal. These days if you can claim your product is all natural, it seems you’re sure to sell like hot cakes. There’s a plethora of all-natural foods, baby products, beauty supplies, clothing, pet food…you name it. You're with a friend at your favorite hangout when two strangers sit down on the opposite side of the fire pit. For the next few hours you sit through an awkward conversation about the upcoming Harry Potter and Twilight films. You could have avoided this if you had your own Block Fire Pit at home. Wine, pasta, gelato, designer fashion, fast cars, opera, romance - Italians know how to enjoy the finer things in life. If you've ever traveled to this country you know how captivating their lifestyle can be. While you may not be ready to move to Italy, you can bring a piece of it home. 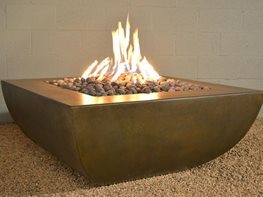 AK47 Design is an Italian firm that creates innovative, efficient and attractive fire features. Who doesn't love a great shortcut? Boxed brownie mix versus baking them from scratch. Ctrl +C on your keyboard. Driving through the grocery store parking lot instead of waiting at the light. Well now there's a shortcut for custom built outdoor living areas - Galvacore™ Structural Panels. 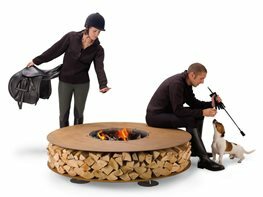 This fire pit offers high style and smoke free enjoyment. Gather your friends and family for an evening of stories, laughter and s'mores. Just be sure that they know they're beautiful, even if they aren't being followed by smoke. 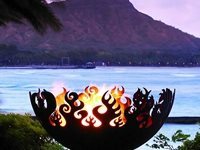 John T. Unger's fire bowls are handcrafted creations made from recycled steel. 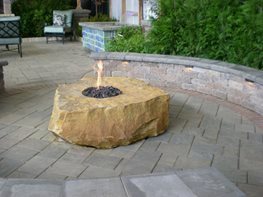 The fire bowls are available in many styles and a variety of sizes. They can be equipped to burn propane or natural gas. 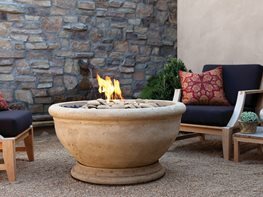 Unger ships his fire bowls throughout the U.S. and is willing to work with international buyers. 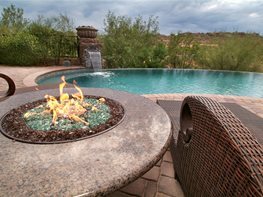 Depending on style and size, prices for the fire bowls range from $800 to $5,000.